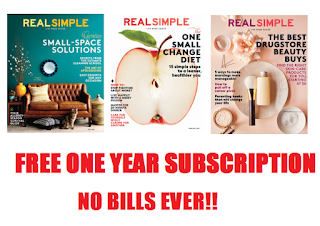 Free Real Simple Magazine One Year Subscription. No Bills Ever! It says new subscribers only. So if you already had a subscription in somebody's name make sure to use your name or somebody who hasn't had a subscription yet.